Rising Dutch producer Arcando delivers his first Enhanced production in a mesmerising collaboration with the distinctly R&B influenced Spanish singer MenEnd in Is It Possible. The song oozes summer guys! It's a feel-good anthem! Stream it below! It started all with a moombahton drum groove I had for the drop. On top of that I made some chords with a Nexus piano and replaced the sound with a pluck. Then I made the vocal lead for the drop and tried to make it more interesting by adding a slight change every 2 bars. I made the break and build up in 3-4 days and sent it over to the vocalist MenEnd. He wrapped up the vocal line and lyrics and sent it my way. I played around with the vocal, so the track would get more unique and exciting. That's how Is It Possible was born. 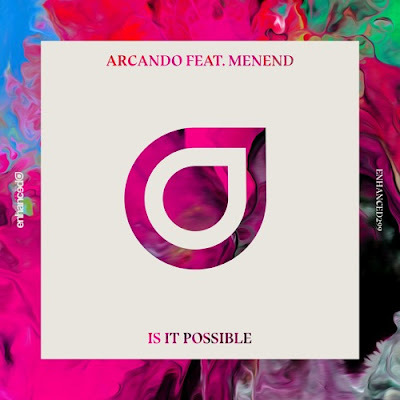 Is It Possible delivers youngster Arcando's increasingly in-demand sound in a flowing, smooth & layered production awash with gentle harmonics coupled with MenEnd's sensual vocal delivery.